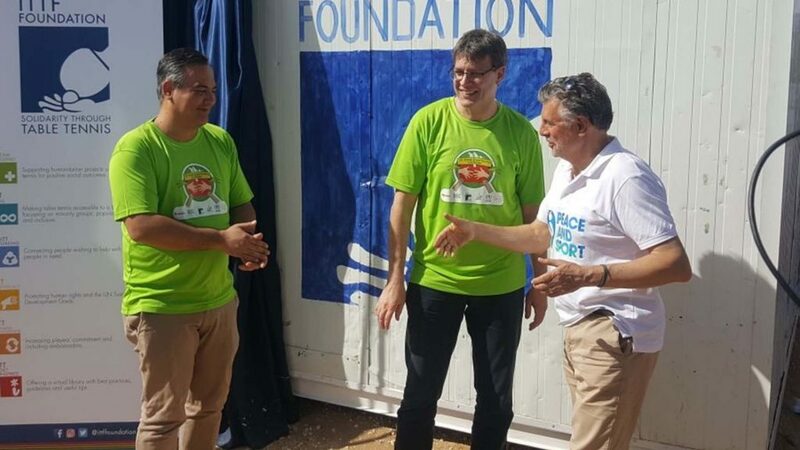 A day full of activities was realised at the Za’atari Refugee Camp on Friday 6th April, World Table Tennis Day which, in addition, celebrated the International Day of Sport for Development and Peace. Supported by Nittaku and the Foundation for Global Sports Development, organised by the United Nations High Commissioner for Refugees (UNHCR) and the International Table Tennis Federation’s long term partner, Peace and Sport, the celebration began with workshops that involved kickboxing, teqball and table tennis. 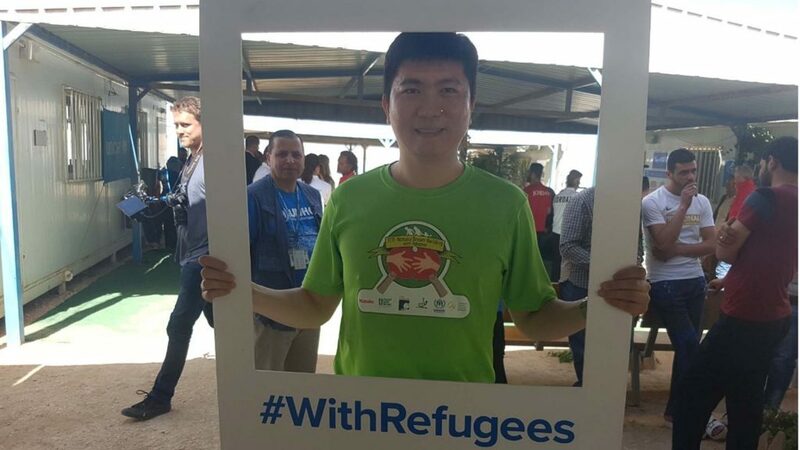 During the afternoon refugees enjoyed sporting demonstrations; notably Korea’s Ryu Seungmin, the 2004 Olympic gold medallist, entertained the children. A demonstration to thrill those present was followed by an address from Thomas Weikert, ITTF President; he was present alongside Leandro Olvech, the current ITTF Director – Development. Notably, the ITTF Development Programme, uses table tennis most successfully as a vehicle for positive social change. A day of unity, understanding an respect for humanity; in the presence of Joël Bouzou, the President and Founder of Peace and Sport, the goals were achieved in Jordan.